For years, Monica and her son had no where to go until the Sulzbacher Center gave her a new lease on life. In 2013, Monica lost her job and her apartment forcing her and her son JoJo into the streets. From hotels to abandoned apartments, they moved from place to place until they settled into a local shelter. Their stability was short-lived after three months and then, again, they had no where to go before finally receiving a family room at the Sulzbacher Center. Monica took full advantage of counseling, parenting classes, and career exploration courses while living at the Center. One day, Monica’s case manager, Latonya Moore, shared some news that would open new doors for Monica and her son.The Sulzbacher Center, in partnership with First Coast Security, was offering a security course and license at no cost to its residents. Monica leaped at the chance to get back on her feet and successfully completed the security program. With a new job, a new home was finally within sight. She pushed herself at work and saved every dollar she could to avoid using government assistance to secure an apartment. All of her hard work definitely paid off because on December 4th, Monica and JoJo had the keys to their new home. We can help more mothers like Monica, but not without your help. One day of comprehensive services at the Sulzbacher Center is closely equivalent to $20. Help us raise ‪#‎20kIn20Days‬ by participating in the Sulzbacher‪#‎2020Challenge‬. You can donate online at gofundme.com/2020challenge, host a fundraiser among friends, family, or coworkers, of see what the Center is all about at our upcoming event, Transformations on October 15th. Visit our website at www.sulzbachercenter.org/transformations to download a full #2020Challenge toolkit and to purchase tickets to the event. Together we can help end homelessness one person at a time. For 24 years, Charles, 62, struggled with a drug and alcohol addiction that caused him to spend several years of his life incarcerated and nearly a decade on the streets. It wasn’t that he hadn’t tried to get clean. He’d actually admitted himself into several rehabilitation facilities over the years, but he just couldn’t gain control over his drug and alcohol dependency. “I gave all those programs everything I had and it just felt like the harder I would try, the harder it became for me to stick with it,” said Charles as he remembered his many years of moving from city to city, rehab to rehab, and shelter to shelter, until, he finally landed in Jacksonville. Within no time, Charles was placed in a furnished scattered-site apartment receiving wrap-around services in his home instead of at the Center. In November 2014, Charles admitted himself into an intense rehabilitation program and with the help of his Supportive Living Coach, Susan Sulzbacher, he was finally able to beat his addiction. For 20 years, we’ve transformed lives one day at a time, one person at a time. So, we know amazing things can happen in just one day. 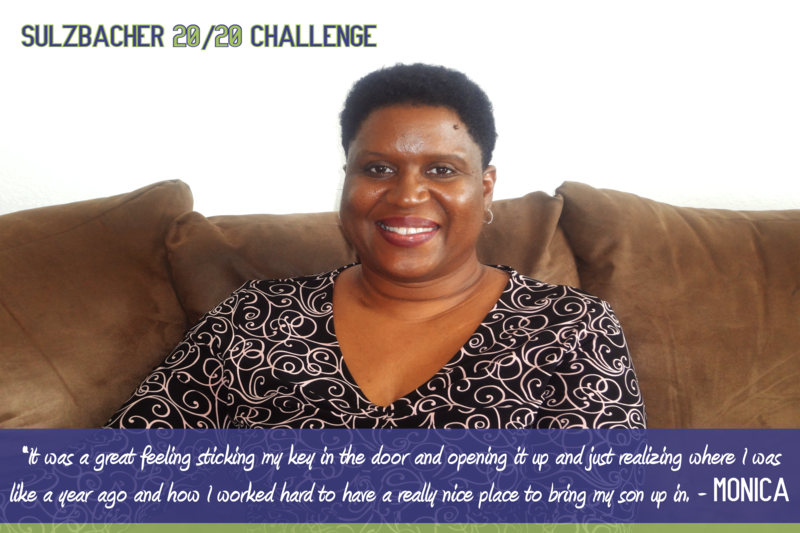 You can help more people like Charles by joining the Sulzbacher #2020Challenge and helping us raise #20kin20Days! Visit gofundme.com/2020challenge and #DonateADay for second chances.